The Full Moon Lunar Eclipse in Libra is a time of balance and to access if our outer reality truly reflects what our inner self wishes to see. The Eclipse begins on 3/23 at 5:39AM EST to 9:54AM EST and the Full Moon will happen at 8:01AM EST. We typically feel this energy in the 48 hours that follow. It’s a time of shedding the old so the new can unfold. The more we trust, the more our world starts to move in a momentum that soothes our soul! Learn more in my video forecast! How is this cosmic occurrence effecting you? What are you looking to gain going forward? Share in the comments! My Journey to finding my Gypsy Glow! I am SO thrilled to be a part of the GLOWSCHOOL BLOG TOUR! It’s a movement created by my spirited friend, Dana Gatziolis. I met Dana through Gabrielle Bernstein’s Spirit Junkie Masterclass and to describe her as a Glowing soul doesn’t even do her justice as she goes beyond such! Her story is that of boldness, truth, and sheer bravery. I invite you to read her story and just feel out her radiate energy! As part of the the blog tour, I was asked to share how I found my Glow and the ways that you too can tap into that infinite luminosity. Coming into my cosmic Gypsy self definitely had it’s awkward and challenging moments, however the freedom and love I feel now makes it all worthwhile. Read on my glowing friend…. It’s true when they say that what is destined to be yours will be shown at the most divine timing in our lives. Little glimpses of hope and passion weaved into a story board guided by the underworking of society. Little did I realize that my first glimpse of what would be my ‘Cosmic Gypsy Glow’ would be recognized at a grocery store near my childhood home in Los Angeles, upon finding a pocket Astrology guide to being a Leo. I was blessed with the ability to read at the onset of age 4, and though this current literature was more advanced than my usual Dr. Seuss tales, I was able to navigate my way through most text. I read how a Leo was a person that was a bold leader, often theatrical in nature and enjoyed living a lavish and fun lifestyle. I continue to read on about the Leo’s love for travel, good food, and shopping. That they had many friends and loved to party. I started blushing as it went on to add a steady flow of lovers. The more I glossed over the words the more I felt affirmed to why I was here on this earth. With each playful adjective my heart filled with a sense of longing and pride. I loved everything about the independent and fabulous Leo. I loved even more that it was affirmed that when I grew up, I was going to be a Leo! At just the ripe age of 6 years old, I was lured into the seclusive world of Astrology. Over the years I continued to read about the Leo persona when I could. Growing up in a Catholic household, the astrology ideology wasn’t exactly welcomed and I kept my hobby hidden. Upon discovering in excitement the New Age or Occult sections at the library or book store, I would camp out and spend hours reading through the captivating celestial text. With every new finding, I was feeling more and more connected to this secret system of the stars. By the time I reached college, my knowledge and interest in Astrology was at it’s peak. I became the girl at parties that assessed people’s personalities based on their Sun sign and would predict which couple’s relationships had the most staying power. Astrology let me not only be an excelled observer of the world which I was in constant awe of, it allowed me to feel like I had a special talent and a skill set that people could appreciate. As I transitioned into adulthood, the pressures of society allowed me to lose sight of my passion and precious love for astrology. I became burdened by trying to fit into society’s timeline and boxed myself into a corporate career that wasn’t satisfying my soul. I had lost sight of the lion hearted girl I was and grew more confused as to why I wasn’t becoming the bold Leo leader I was destined to be. The more separated I felt, the less I started to take care of myself and soon I was going down the rabbit hole of using outer addictions to try to suppress my lost soul. I would always pray for a magical change the next day, yet every morning brought the gloom of disappointment. And so as if by habit, I would offer up to God and pray to just make it through the day. I didn’t know that the freedom and love I desired was just dormant on the other side, waiting for me to realize that the Leo was ready to go and just waiting for permission. And in the Fall of 2009, a force greater than my own intervened, and with a heavy hand the lion in me roared out and a new glowing light was activated. It was that of the light that was to save me. As I adjusted to the awkward brightness, through partly shielded hands I could see out into my life and realized a new journey was uncovering before me. It took many months for me to work with this glow. I felt like I was starting all over again, learning how to work with the thoughts that triggered me to the darkness as well as nurturing my heart to keep me going in love. There were moments when I wanted to hide back in my cave and go back to the life I didn’t want yet was all I had come to know. However my light kept me strong. Keep going, it’d whisper gently. In it’s truest discovery I realized that this glow was my homecoming, a cosmic force to bring me back to my Leo hearted soul. It’s my most authentic connection with a divine force outside of me. It wasn’t the feeling of not being good enough or regrettable or misunderstood. It’s real genuine love. And I came to find that the glowing love I felt was purely me. Soon after I found modalities such as meditation and mindfulness to keep me in my glow. I learned what it meant to be in the present moment and it was the greatest gift I’d ever been given. I can still remember that instant of my mind, body and soul all syncing together as if it was the most natural thing in the world. I tapped back into new age curiosities such as Astrology and Tarot. I started reading my horoscopes again and it guided me to Kundalini Yoga which expanded my path in a whole new way. I become inspired to become a teacher of the Kundalini technology, a practice that quite simply cultivates the awareness for us rise up within our own self rite coinciding with the Aquarian Age. It was there I was given the spiritual name ‘Sahej Anand’, which means lioness who finds bliss in the present moment under God and shares that joy with others. I wept in awe at it’s divine meaning and at how well it understood just what I felt called in my soul to do. Just like that day at a grocery store outside of L.A. The light came at my darkness hour and restored my soul in such a way that I may auto-illuminate that glow throughout the world with the blessing of the cosmos. It is all but my birthright to do so and a true honor. Though the use of astrology, it’s allowed me to guide others to glow too. To see another way. To know there is a way to see out of the dark fear of the unknown. Your life is but a sacred love story, a reunion of what your soul intended for you and the process of awakening. The more I surrender to my cosmic, glowing Gypsy heart, the more my life feels filled with purpose and a sense of meaning. I never thought I wanted to go the unconventional route and sometimes it feels easier to retreat, however through the consistency of being in this craft, my legacy expands deeper and I know I’m in my truth. Be curious about life. To know that it is truly possible to follow your glow and trust that by taking on a more observational and nonjudgmental approach it will enhance further. The main objective is to just begin. Start where you’re at. Ask for guidance. Google it even. You’ll be amazed at the people and opportunities that start to unfold! Trust that happiness + abundance is your birthright! Above all else, you deserve to be joyous and prosperous. Your soul came here bound with a divine mission and the more you commit to it (as oppose to helping fulfill someone else’s journey), you’ll start to receive all the support and security you need! Ask for complete ease so you can fulfill your path without fear and focus on elevating your desires. Don’t let fear declare bankruptcy on your life and invest in your faith instead! Clarity comes from taking action! After exploring next steps, it’s time to put them to work! Realize that you may have to try a few different ways until you find your fit. Practice making the space to honor your ideas. Sure, they may not seem practical to a parent or peer, however at the end of the day, it’s not really up to them. If you aren’t sure what lights you, give yourself permission to see what happens. Mishaps are not failures however merely a process of elimination. If you stay true to making yourself a priority, everything you need will start to magically shift into place. You are so much more than you think you are! Take time to befriend yourself and implement self care. You have a special fit in this cosmic universe and the more you embrace it, the easier life becomes. You’re here on a mission only you can fulfill and deep down you know it’s possible. You wouldn’t be given a dream if you weren’t equipped to play it out! Glow for it. You truly are meant to freaking GLOW in this life. Trust that there is always another way, a new opportunity… You must simply believe and know that if you truly want it, there will be many miracles and a life filled with pure ease! Yesterday, Nicole from Body Boop shared her favorite GLOW tips with us, and I’m so psyched to read what Jen Kanipe is sharing tomorrow! Jump on board this beautiful blog tour, and GLOW with us! Also, I highly recommend taking advantage of Dana’s FREE 10-Day Get Glowing Adventure – starting February 1st: 10 days of simple + fun daily challenges + inspiration. Hope to see you there! Let’s GLOW! Full Moon on Christmas Day! What a freaking year it has been! Through the challenges and set backs one was asked to find meaning, strength, and ultimately peace. This year represented the number 8 (2+0+1+5) and encouraged us to tap into our infinite source of abundance. In order to manifest what it is we desire, we also have create the space for it to enter our lives. And often, that means letting go and being patient. Not easy however surely rewarding! As we enter the last Full Moon of the year that falls upon Christmas Day, 12/25, in the sign of Cancer, we are asked to open our hearts with gratitude for not only our own self expansion but compassion for that of the world. In these troubling global moments times, we need to spread love more than ever and the more we surrender our own fears, more of those good vibes can start to flow through. This Moon is a rare occurrence, the last time it graced us was 12/25/1977 and signifies our readiness for harmony among nations and the clearance to share our creativity out! The Full Moon kicks off December 25th at 6:11AM EST (or 11:11AM Universal Time!) and it is always best to do an offering or ritual as close to the onset as possible. However if the holiday is taking over your schedule, you can do within 48 hours after. I have created a 40 minute guided meditation that takes you through the entire process, including details about the sign it’s in, breath work, meditation, and journaling. To receive the mp3, go here. Also watch my latest forecast video for my insights on how to close out the year and enter 2016 beaming and ready to go! Wishing you so much peace, love and joy throughout this holiday season and always! How are you celebrating the Holiday Full Moon? Share in the comments!! p.s. still need a gift for that special someone? My Gypsy shop has your gift card needs! Check it here. And so kept up with the cosmos and in turn they kept her flying. She met other spirited folk on her journey who taught her many more things… such as the art of stillness to calm her dizzying ways, how to pulsate with the good beat to mirror the rhythm of her own heart, and the gift of finding the guru from within. She treasured these sacred councilmen and women and in turn knew the best way to reimburse them was to teach more in turn. D realized a transformation was in the midst and she took on the name ‘Urban Gypsy’ with pure and total bliss! Her mission became her journey, allowing others to feel they were worthy. And now for this holiday season, she took her cosmic crew and gave them more reason. Crafting up tees to represent this groovy lifestyle and let others rock it out in New Age style. Working hard in the shop for the past few weeks, designing a movement that looked oh so chic! However the Urban Gypsy and her Cosmic Elves have grown wary and the shop must close, perhaps until January. So in these sacred final hours, snag the signature tee and show off your own Gypsy powers! New Moon in Scorpio 11/11! If you’ve been waiting patiently for the magic to surface in your life, the time has arrived my cosmic friend! New Moon: This is when the Moon starts a fresh new cycle. I like to look at it as the next chapter in the story of your life. Thinking in this way, what goals and desires are you ready to move forward? Or what in your life is currently working that you are ready to go next level with? Scorpio: On 11/11 the Sun AND Moon will be hanging out in the sign of Scorpio. This is a very intense and energetically aligned sign, meaning that anything in it’s path becomes unstoppable. Where are you ready to become an untethered force in your life? 11/11: Why is the date so freaking significant? The number 11 carries a vibration that asks us to look at our beliefs and see how they are being reflected out into our world. When it is doubled, it’s an opportunity to magnify these inner principles and even ask the cosmic world for direction. It’s also where the urban game of making a wish at 11:11 came to be! 2015: The year is super important too. When you add up 2+0+1+5 together, it equals 8. The number 8 holds the vibration of abundance and growth. Combined with the 11/11 energy, this day is transforming us to close the gap between what we desire and actually reaching obtainment. Remember that prosperity takes many layers and it may not just come through in money but also love, health and home as well. For more, watch my video to learn how to really boost your “life power” during this ultra special day! I also welcome you to join my New Moon 11/11 gathering! Details here! You can join me in NYC or via Live Audiostream and receive the recording later. What do you wish to manifest during this spectacular cosmic day? Share in the comments! How Not to Run from Love during Venus Retrograde! Every day the planets move through the universe, making strides forward and radiating their “essence”. Every planet has a role to play, for example Mars controls our physical actions and Jupiter oversees expansion. The collective energies of the planets work to keep our lives flowing and in order. And just like us, the planets need a little rejuvenation and reassessment too. That’s where retrograde comes in. Most of us shudder at the word, given it’s bad rap from recent Mercury go-arounds, however retrograde doesn’t have to be a negative occurrence and can actually be momentous to our self healing and growth. On July 25th Venus, the planet of love and passion, will go retrograde until September 6, 2015. If you’re thinking your love life will be doomed during this time, think again! Venus retrograde is an amazing opportunity to mend our hearts and reconnect us to what we truly desire. Venus doesn’t retrograde very often (roughly every 20 months), however its absolutely fitting that it falls right after the New Moon in Cancer on July 15th. The moon had signified for many a fresh start. Leaving behind what could no longer be carried into the rest of 2015 and while painful for some, knowing it was for the best. Many people left relationships, experienced loss or sought out recovery to deep addictions. The Venus retrograde (starting off in the practical and grounding sign of Virgo before moving back into Leo July 31st) will aid in allowing us to nurture our hearts and maintain that steady motion ahead. How can you best maximize the effects of Venus’s retrograde? Below are my top tips for becoming a galactic all-star throughout this phase! You may be feeling more sensitive during this transit and as such you want to give yourself the space to move through it, as oppose to overloading your schedule and getting frazzled. Create more time for meditation and go to yoga classes. Treat yourself to a massage or mani/pedi. The vibes are all about self care and it’s important to extend love to the beautiful vessel aka your body, that carries your sweet heart. Find Out what Makes your Heart Sing! View Venus Retrograde as a call to action! What is it that truly makes your heart beat faster with joy? How is your life currently aligned with your passions? Venus will move back into the sign of Leo at the end of July, asking you to take inventory of your passion projects. If you find that your life isn’t reflecting all it could, it’s time to bring those hidden talents out from under the rug and brush off the dust! Reconnecting with the hobbies you enjoy will make this retrograde a more enjoyable experience and possibly bring about new opportunities once the transit fades out in September. Whether in a relationship or single, this is a gorgeous time to take a serious look at your standards when it comes to love. How is love aligned in your life currently? Do you view it as expansive and exciting or is it hopeless and settling? Again, this is a time for what it is that YOU want. What does love look like in your life? Feel like? Sound like? Even taste and smell like? (hey now). Make a list of how love could be expressed more fully in your daily routine and then start implementing those items! 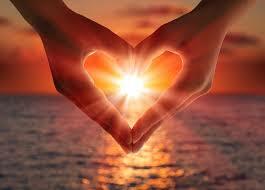 When you start radiating out love on a regular basis, you’ll attract it right back! Also take a look at where you’ve been subconsciously singling out new love by staying attached to your independence or fixated on a certain way it’s suppose to go. Remember that love in it’s true essence is a feeling, not an object. When you allow yourself to flow in the stream of love, you’ll get back the feelings you desire first and the form will be an afterthought. Our hearts may be more raw and vulnerable during this time, so we may seek comfort in a past relationship (i.e. respond to that late night ‘I miss you’ text from our ex). This is an opportunity to stand up for yourself and hold steady! Giving in to an old hurt will just extend out more confusion and slow down the healing process. Venus retrograde is like an accelerate to releasing our heart’s pains so remain true and take advantage of it’s extra nurturing vibes. Honor the initial decisions you made and sooner rather than later opportunities that are much more true and satisfying will be presented to you! Get Blog Posts 1st via Email!